Do you raise goats on your homestead for a source of milk? The milk you collect can be easily be used to make a lot of homemade products like goat cheese. The process for how to make goat cheese is easy to follow with this basic recipe. When you know how to make goat cheese, then you can start to experiment. You are able to make a lot of different cheeses depending on the recipes that you have available. The best thing to do though is try one that is simple before moving on to any that are complicated. 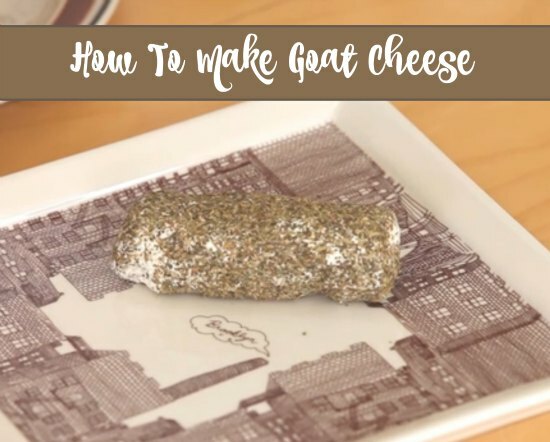 There is a video that you can watch for a PDF to download for how to make goat cheese. The main thing to do before you start this process is make sure you have all the supplies that are required. Making a lot of goat cheese at home will take a bit of time though.